On February 2, 2015, at 9 AM, the children’s literature world will be watching. What is happening, you might ask? The American Library Association’s Youth Media Awards will be announced in Chicago. Now, most of you will not be in Chicago that day, so you can follow along online here! Why is this such a big deal? Some people call it the “Oscars of Children’s Lit” . This is the day that the winners of the 2015 Caldecott, Newberry, Corretta Scott King, Printz, and more are announced. For details, visit this link. The room in Chicago will be filled with thousands of librarians, booksellers, media, and book lovers of all stripes. The only people who know ahead of time who the winners are, are the winners themselves and the committees that chose the winners. It is all very exciting, and this year, even more exciting to me because I get to help choose one of those winners. This year, I have the great honour of being a member of the 2015 Caldecott Committee! Since January of last year, I have been reading, looking at picture book art, and evaluating books. I read just over 500 picture books last year, and many of those books I read and looked at multiple times. Some of those books I spent hours poring over the art, comparing the books to other books published in 2014. I read reviews, I read the books to children, I talked about the books with artist friends, I shared the books with high school and college classrooms. I immersed myself completely in the world of picture books, always with the Medal terms & criteria in mind. Now I head to Chicago to sequester myself in a room with 14 other committee members, to discuss the books and to choose a winner, which will be announced to the world on February 2! Watch online, follow me on Twitter @annavalley, or just Google “Caldecott winner” on February 2 to find out which book is deemed the most distinguished American picture book for children! It happened. Winter has arrived. Looking outside we see the fresh new snowfall. It is a beautiful wonderland, but there are risks involved. 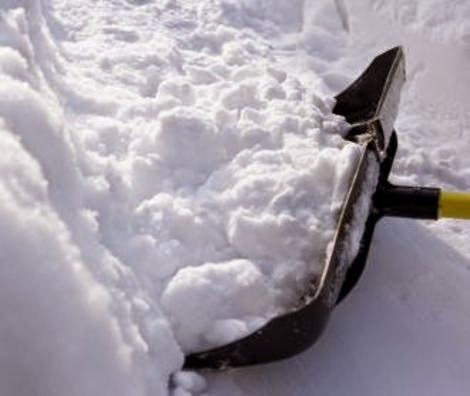 On average, 1,200 people a year die as a result of shoveling snow. Add back injuries, shoulder dislocation and heart attacks, and snow shoveling is one of the most dangerous activities senior citizens can attempt. For tips to avoid snow shoveling hazards: Talk to your aging parents about shoveling snow safely go to this link. 1. Bring a cane or walking aid if necessary. 2. Remember any medications you may need for the next 24 hours. 3. Bring enough cash for bus or taxi rides. 4. Wear anti-skid shoes and boots with the laces properly tied. 5. Tell someone where you are, expect to arrive and return. 6. Pack water and a snack. If there is a delay, it’s important to stay hydrated and energized. 7. Make sure you are wearing several layers and include a warm hat, gloves/mittens, and a coat. 8. Know your transportation options. Don’t drive unless it’s an emergency. 9. Only walk on clear and dry sidewalks and use available handrails. 10. Charge your cell phone and keep a list of emergency contacts. Be a good neighbor and check on seniors in your community. Perhaps offer transportation, or doing errands for them. Check on them during a storm. Did you know that ice must me at least 10 cm thick to walk on, 20 cm thick for skating , and a minimum of 25 cm for snowmobiles? This link has further information. And always wear an approved helmet when participating in activities such as skiing, sledding, snowboarding, skating or playing hockey. For more information use this link. Be sensible with the temperature. Sometimes it is too cold for anyone to be outside. Watch your children and keep them away from snowplows and snowblowers. Help children choose play areas with a warm shelter nearby. Teach them not to build a snow fort in a snowbank near the road. Children should be supervised when playing outside. Establish a buddy system with one or more of their friends. More information can be found at www.safekidscanada.ca or at this link. Don't forget to be sun safe. Even in the winter, you can still get a sunburn. Wear sunscreen with a minimum SPF # 15 or higher with UVA and UVB protection. Further information can be found here. Drink up, and make a toast to winter! When you “see your breath” in cold weather, you’re actually seeing water vapour escaping your body. The dryer and colder the air, the more water you will lose through breathing and sweating. Start your activity well-hydrated and continue to sip as you walk, ski, snowshoe, or skate. Thirst is not actually a good indicator of your body’s need for water as it is a delayed response. Drink even if you do not feel thirsty! Remember that drinks like coffee and non-herbal tea are diuretics and can actually contribute to your fluid loss. Try carrying a thermos with warm liquid, like herbal tea or apple cider. 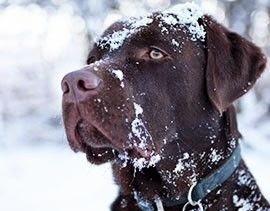 Keep your animals safe this winter. Keep antifreeze out of reach and clean up any spills. Avoid use of salt and chemical melting products. Before starting your vehicle, give the hood a tap and check between tires. Keep your animal friends inside. If it is too cold for you to be outside, it is also too cold for them. Winter driving can offer some dangerous conditions. For some sensible winter driving safety tips, go to this link. Winter in the Annapolis Valley can be very beautiful. 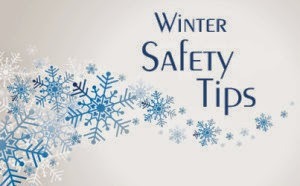 Learn more about winter safety for all members of your family, and help each other. Submitted by Wendy Kearnes, Outreach Services Manager. NNELS is a growing collection of downloadable audiobooks and other accessible formats provided for use by persons with print disabilities. Nova Scotia Public Libraries are pleased to provide this new service to library customers in our communities. You might be thinking that this doesn’t apply to you, but maybe it would be helpful to a friend or family member. This can be a temporary situation, maybe as a result of eye surgery or a broken wrist, etc., if so, you would qualify for the duration of the situation. You can fill out our online application. This service is different from other downloadable audiobook services. These titles do not have a due date. You can keep these!! They never expire and you can burn them to a CD. There are several formats available, MP3 and Daisy. Want to use this on a tablet? There are some great apps you can purchase to use this service on a tablet or mobile device. Use the Darwin Reader app ($14.95) to listen to this material on an Android device. Or, the Voice Dream Reader app ($9.99) on an Apple device to have the option of listening to the audio or following along with the text as it is being read to you. There are more than 12,000 titles to choose from. Some are narrated by a person reading the book, while others have a computer generated voice. This site offers some local material that cannot otherwise be found in an audiobook format. Try a search and see what’s available. You’ll need to register with us in order to see all of the details on a title, but guess what? It is all FREE! IT’S OVER!!! This is a statement that is often heard come January. Whether it was the vacations, the visits, the food or the fun, come January the holiday season has ended. It can be a positive statement as not everyone is sad to see the holiday season in their rear view mirror. Some will feel relief that they are no longer have to see and be seen by family and friends. There will be an end to the expense and expectations. For others it will be a lament for the loss of the coming together of family and friends and the celebrations that accompanied that. The freedom of days off and the indulgence of outings and parties. The hustle and bustle that kept us distracted and entertained. It can be an especially hard time for children. Going back to the routine of school can help but it also spells the end of “fun” for many. They will miss the extra time and attention that they got over the break. It’s important to be aware of how they feel and keep an eye on children’s behaviour. Often the emotions come out in a physical way (like a stomach ache ). Take steps to help yourself if the blues have taken hold. Make sure that you eat well, up the fruit and vegetables, and try to get out for a walk. If you can do it in the sunshine that is better yet as a little Vitamin D never hurts when you are in the shorter daylight hours. Perhaps invest in a sun lamp for a little light therapy. It helps to pick a date in the near future and plan something special. You will have something to look forward to during the winter weeks ahead. Look at evening classes or indoor activities like the swimming pool or bowling. You can choose to embrace winter and get involved in some outdoor activities like skating or snowshoeing. Recently my 3 year old grandson and I got ready to go down the water slide at the pool and he looked up at me with this big smile and said “Let’s Do This”. I often get a little bit of the blues this time of year so I am going to try and apply that attitude to the coming weeks and hopefully give them the boot. The main thing is that the holiday blues should be temporary. If you find that no matter what you try you aren’t coming out of the slump then speak to a professional.